Debt… the easy availability of credit has gotten many, many people in way over their heads. Debt is something we all have at some point in our life. Whether it’s a mortgage or a car loan, student loan, credit card, or maybe just a loan from Mom and Dad or a friend, someone, is making money off of you. If you ever wondered how banks make such huge profits, it’s because of all the interest they charge to you as a customer. For instance, over the life of a standard 25 year mortgage you will pay more in interest then you do in principle. So take a hard look at your home and think, that $300,000 condo you just bought, is really taking over $600,000 out of your pocket! In the past few posts we talked about seeing value in the dollars you spend. So what is the true cost of a thing? Let’s say you bought a car for $10,000 and took out a 5 year loan for that amount. Assuming a 7% interest rate that car’s cost will be $11880.72. If you instead owed $10,000 on a credit card with a normal interest rate of 19% and made the minimum payments, that $10,000 will cost you $20,948.20. And it would take you almost 24 years to pay off! Puts things in perspective doesn’t it? You always have to look at what something costs in real dollars out of your account, not the sticker price you pay. Some will say debt is evil and tell you that you should never have it and if you do you’re a terrible person. That’s not how you should look at debt, the first thing to do when considering your debt is let all of your guilt go. What’s done is done so let’s just move forward and build better habits. Debt can be a good thing and can help you build your net worth as long as it’s used correctly. There is nothing wrong with having some debt as long as it’s manageable and you have a plan to have it paid off. Remember, every dollar you owe is robbing you of your most important resource, time. As you exchange your time for money, the money earned is already not available to spend on things that are important to you. It’s spoken for because it has to be used to pay off something your past self bought! If you’re like most people, you couldn’t really answer the question about why you have structured your debt the way you do. You probably bought a car, so you took out a loan. And then you owe money on your line of credit because you had to pay for some home renovations. Then your credit card started to creep up because you spent more the past couple of months then you made and you couldn’t pay off the full balance. Most likely you had no idea what you spent that money on and when the bill came you just paid the minimum and so on and so on. To get started, write out all of your debts to the penny. Then beside that put the interest rate you are paying and how much in dollars you paid in interest for each debt last month. If you add all the interest costs up, you will know how much your debt is costing you. In the next post, when you tell me you can’t afford to save, think about this number! I bet it could go a long way towards building your net worth if it wasn’t going to pad the profits of the bank. Once you have all of your debts laid out I recommend sitting down with someone at your bank and see if there is a way you can restructure those debts to reduce your interest costs. Maybe you can get a loan to roll it all together, maybe you have equity in your home you can use to secure a line of credit with a lower interest rate, maybe you can get a lower rate VISA. I will go into detail about how the different credit products available work in future posts, but for now a good banker should be able to help you with this. Just make sure to be mindful of any fees for things they try and sell you! Let’s assume however, that rolling it all together is not an option for you. Here are some practical ways to start attacking what you owe. Here is a 5 step process to tackle your debt. Step 1 – No new debt! If you looked at what you owe and you’re not happy with it, make a promise to yourself right now that you won’t take on any new debt until you get what you already owe under control. AND did I say it yet? NO NEW DEBT! Step 2 – Reduce your interest costs. The top priority should be to reduce your interest costs on a monthly basis. If you have a line of credit with available room on it, use it to pay off any credit card balances you owe up to the max limit of the line of credit. Most people are afraid to max out their line of credit but I find then it just becomes a crutch, available money that you can spend but shouldn’t. Then, when you get paid, transfer your full cheque into the line of credit account to cover the payment owing on it, and then pay all of your bills from the new available room. This will keep you up to date while you tackle higher interest debt and it will make sure to keep you in good standing with the bank and the credit bureau. Step 3 – Tackle the highest interest credit card first. Now that you have paid off as much as you can with your line of credit, figure out what credit card is left with the highest interest rate and that’s what you need to focus on. You need to make the minimum payments on everything other than that one card you just identified. Put all of your available cash towards that, don’t try and spread it around. Most people if they have 4 credit cards pay $100 towards each and feel like they are not making any progress paying them off. This is why it’s important to focus just on one, you will begin to see the balance dropping. It is better to eliminate one card at a time in full as it will make you feel like you are making progress, because you are! 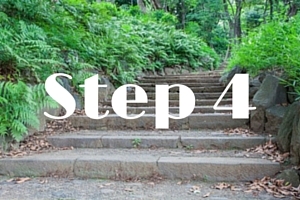 Step 4 – Tackle your loans. Once the high interest cards are paid, it’s time to look at your loans, what are your payments? The reason I like to start with the loans, is that the payment amount is generally fixed and eliminating that fixed liability will free up more cash. This way, when the inevitable month rolls around that an emergency comes up, you will have more free funds to direct towards it and not have to use a credit card. Step 5 – Focus on your line of credit. Ideally, you had equity in your home and could lump all of your debt into a line of credit, or, you had room available to pay off all of your cards and you have just this one lump sum owing. What do you do now? Well, your bank probably has a loan calculator and if not, there is a link below. I suggest you plug in the interest rate you are paying and the amount you owe (which should be all of your debt by now) and set a term for 3-5 years or less. This will give you a monthly payment that’s needed to have the line paid off in full. Now, pay that every month! Living a wealthy life means enjoying today, so make sure you leave yourself enough free cash to do that. Hopefully these steps will help you, I have seen it help hundreds of clients over the years, it just takes a little patience. Remember, the most important thing in finance is being aware of where money is flowing, now that your debt is under control it’s time to move onto the next step!